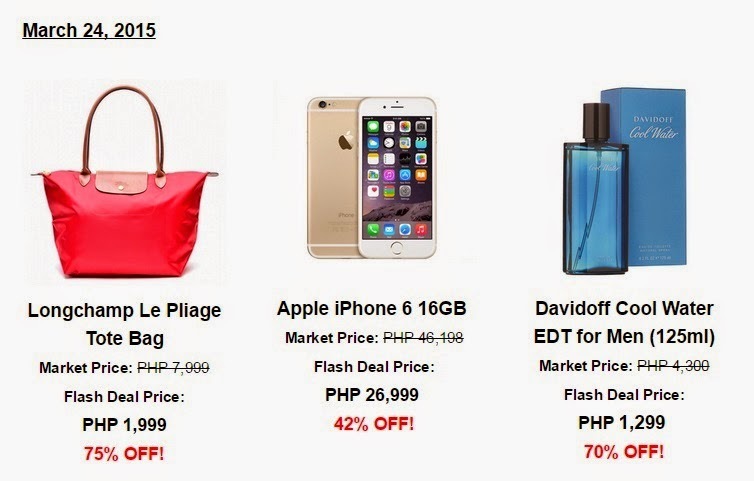 Whether you're looking for a new gadget—perhaps an iPhone 6 that is almost half its market price, dapper Ray-Ban sunglasses or silver strap watch, a Le Pliage tote bag, chic shoes, parfum on a 70% off, or anything you can think of online shopping BUT lovelife (duh? haha! 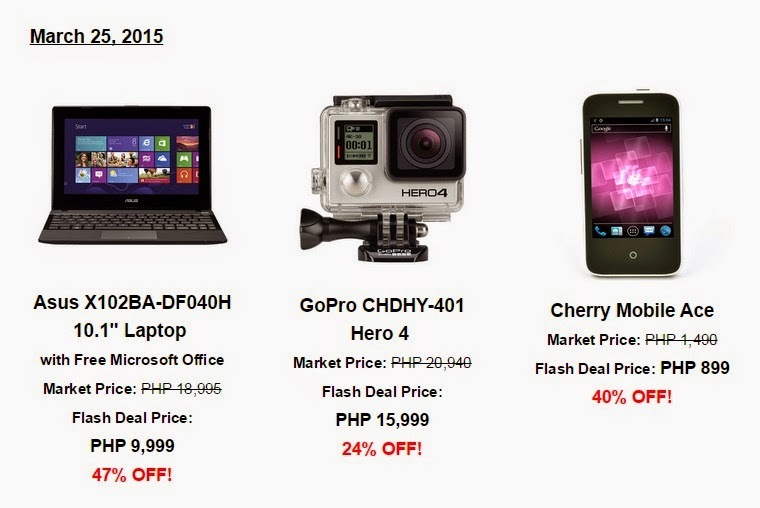 ), what better way to get 'em hassle free than to shop online at Lazada.com.ph. 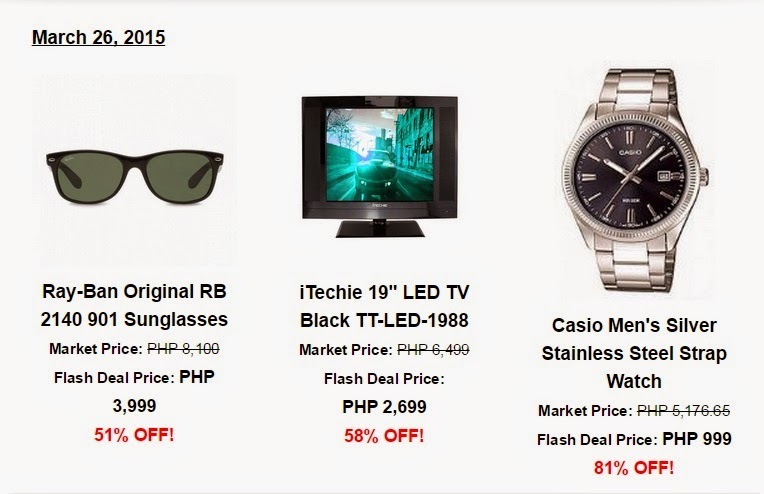 To celebrate its third year anniversary, Lazada Philippines is kicking off a 3-day shopping celebration with Flash Sale and Top Anniversary Deals of up to 90% off from March 24 to 26. Payment options include Cash on delivery (payment in will be handed to the courier upon receiving the item/s), Debit or Credit card, PayPal or through Megalink. Shipping fee is free of charge for orders more than P1000 within or outside Metro Manila. For orders below P 1000, a shipping fee of P55 for Metro Manila areas or P99 for those outside Metro Manila areas will be applied. Deliveries may take up to 5 days for orders within Metro Manila and up to 10 days for orders outside Metro Manila. returns and refunds, and other FAQs, click here.